This debate is about the Kalam Cosmological Argument, a favourite of religious apologetics. Here, the Christian blogger, Richard Bushey, who runs the Therefore God Exists blog attempts to establish the proposition that "The Kalam Cosmological Argument Proves The Existence Of God". It will be echoed here and his blog The Kalam Cosmological Argument. There are certain fundamental questions which will eventually arise out of any intelligent life form. Men will ask themselves why it is that they exist, whether their life has meaning, value, or purpose. The greatest philosophers throughout history have attempted to answer these questions, and questions about the entire known universe. Questions about why anything at all exists, and how a finite universe could exist causelessly have pressed upon the mind of some brilliant thinkers in mans’ history. When spelled out syllogistically, this is what is known as the Kalam Cosmological Argument (KCA). Indeed even prior to the advent of modern science, the KCA warranted critical thought from men such as the Islamic philosopher Al-Ghazzali. It also manifested in Aristotle’s work represented as the First Cause argument. In recent decades it has been empowered once again by the contemporary Christian philosopher Doctor William Lane Craig and is often regarded as a powerful argument in favor of the existence of a personal transcendence. 1 – Everything that begins to exist has a cause. 2 – The universe began to exist. 3 – Therefore, the universe had a cause. Despite that, many atheists have attempted to avoid this argument by saying that some things could pop into being, uncaused, out of nothing. This is the position of the atheist philosopher Quinton Smith, who said that the most rational position for the atheist to accept is that the universe came from nothing, by nothing, and for nothing. This exemplifies to consequences of denying the law of causality, for it fundamentally alters the world in which we live. Things do not just pop into being uncaused out of nothing. If it were the case that some things could appear, uncaused, out of nothing, it would become inexplicable why anything and everything did not just pop into being uncaused out of nothing. But obviously, if the reader were wondering who the author of this article was, it would be profoundly irrational to say that there was no author, that it just popped into being, uncaused out of nothing. That is an explanatory resource that is just not available to use. As I explained in my introduction, the Kalam Cosmological Argument has been defended even before the advent of modern science. This premise has often been defended by appealing to philosophy. When I say this I mean that we imagine what it would be like if an actual infinite number of things were to exist in reality, because they always lead to logical absurdities (Note well that I am not saying that the infinite cannot be applied as a concept in mathematics. Instead I am saying that if the infinite were the exist in reality, it would lead to absurdities). Hilbert offered one of the most famous examples of an infinite in reality known as Hilbert’s Hotel, which is defined thusly. Suppose there was a hotel with countably infinite rooms, all of which are occupied. It is tempting to think that in a hotel with no vacancies, they would not be receptive to new guests. But suppose a new guest does arrive. Since there are an infinite amount of rooms, they can accommodate this new guest moving the person who is in room 1, to room 2, the person in room 2, to room 3, and so on. The new guest will go into room 1. By repeating this procedure, Hilbert’s Hotel can make room for any finite number of guests, despite that all of the rooms were occupied. It is also possible to accommodate an infinite number of new guests: just move the person in room 1 to room 2, the person occupying room 2 to room 4, room 4 to 8, and so on, and all the odd-numbered rooms (which are countably infinite) will be free for the infinite number of new guests. But this is obviously paradoxical, for we cannot have both vacancies and no vacancies. Therefore the infinite, in reality, leads to absurdities. David Hilbert could not have an infinite amount of rooms in his hotel. But in reality, one can have as many rooms as they can afford. That is why the infinite is reduced to a concept in our minds, but does not exist in reality. Since past events are real, it follows necessarily that the number of past events could not be infinite. A cause must transcend its’ effect. Therefore the cause of the universe must transcend the universe. Being the cause of nature, it must transcend nature, or be supernatural. Being the cause of time, it must transcend time, or be timeless. Being the cause of space and material, it must be spaceless and immaterial. Finally, since it brought the entire known universe into existence, from nothing, it follows that it must be enormously powerful and intelligent as well, which presupposes that it also must be a personal entity. Further, if the cause is timeless, it is difficult to see why the effect would not also be timeless. If the properties for creating the universe existed forever, and were just part of a mechanical process, the universe should also have existed forever. From this it follows that the cause of the universe must be personal as well, for in free will, this cause chose to bring the universe into being a finite time ago. Therefore, the cause of the universe must be a supernatural, timeless, spaceless, immaterial, powerful, intelligent, and personal entity. Therefore, God exists. The Kalam Cosmological Argument relies on several fallacies, misconceptions and false claims. I'll cover each of Richard's main arguments in turn, explaining how they depend on these as I go. I have already blogged on this subject several times so regular readers may find my arguments somewhat repetitive. I apologise in advance for that. See The Kalâm Cosmological Fallacy, William Lane Craig's Logical Kalamity, Circular Reasoning, Causality and most recently until now, Four Deceptions of Apologetics. This is quite simply untrue. It is either a false claim or a misconception born of scientific ignorance and the fallacy of personal incredulity. Whatever the reason, it is a false assumption. This assumption might have been forgivable in an 11th century Arab theologian or a Classical Greek philosopher; it is not forgivable in a modern apologist with access to books on science and the Internet where it takes but a few minutes to check these things. Causality is known not to apply at the quantum level, and the initial event at the moment the Universe came into existence, the so-called and misnamed, 'Big Bang' was a quantum event. Causality only applies at the macro level over which Relativity applies. Quantum mechanics is counter-intuitive in almost all respects and since the Big Bang was a quantum event there is absolutely no reason at all to assume it can be understood intuitively or that it is required to conform to our preconceptions. There are several well-documented examples of causeless events at the quantum level. These include the spontaneous decay of a radioactive atomic nucleus, the return of an excited orbital electron to a lower energy level, and the spontaneous creation of pairs of particles in a quantum vacuum. All that is required for a quantum event to happen is that it is possible. At the quantum level an individual particle exists in all possible states simultaneously. These different futures only decohere at the macro level due to quantum entanglement, as described by Richard Feynman in the Feynman Equation. There is also the use of the definite article in the phrase 'a cause'. Even if one overlooks the fallacy of insisting wrongly that there must have been a cause simply so the Universe complies with personal incredulity and ignorance, why insist on a single cause? There are probably no known examples of anything having a single cause (see Causality) so to assume a single cause for the Universe simply to make it conform with an a priori assumption of a monotheist culture is intellectually dishonest. This is, of course, an example of circular reasoning: an assumption about the god being promoted is fed a priori into the argument in order to ensure the desired conclusion comes out of it. So, the first claim is simply untrue. It is based on scientific ignorance, personal incredulity, circular reasoning and intellectual dishonesty. Yes. So far as this Universe is concerned, the science certainly supports the idea that space, time and the energy of which it is made occurred at a finite point in time, when t=0. However, this tells us nothing of a 'before' so the use of the word 'began' which implies a prior time, is not necessarily valid. In what sense can something exists before there is time and space for it to exist in, and yet how can nothing rationally exist? It's like expecting there to be something north of the North Pole. However, if we allow for the notion of something out of which this Universe's space and time arose, why could this not have been something natural, like another universe? The conditions in a black hole are those required for theoretical physicists like Stephen Hawking, Lawrence M. Krauss and Victor Stenger to explain how a Universe can come from nothing as a spontaneous event. Again, books have been published on this subject and there are a number of websites which deal with the subject so ignorance of it can only be wilful or feigned. Either way it is intellectually dishonest to assume that ignorance and personal incredulity are sufficient measures of reality to be able to mount a sustainable argument. So, although this Universe undoubtedly began to exist, this tells us nothing about what it began to exist in. Including it in the Cosmological Argument tells us much of the state of religious apologetics, however. Therefore the Universe had a cause. This merely illustrates that a false conclusion will be arrived at if it is based on false assumptions, fallacies and ignorance. The first and second premises both fail so the conclusion is invalid. The final conclusion - 'therefore God exists', is invalid because not only is it based on invalid argument, as I have just shown. It is also based on one further fallacy which all apologists practice. I note Richard's attempt to skate over this with "(Note well that this does not necessarily prove the existence of the Christian conception of God. The question of who this God is just left open for future inquiry.)" Despite this we have already seen how insistence on a single cause is an attempt to insert an a priori monotheist assumption into the argument. Possibly Richard was unaware of this. However, the final fallacy, and one which I feel says most about the Cosmological Argument and those who try to use it to push their own pre-conceived notion onto unsuspecting victims, is the dishonest circularity it is based upon. Forgetting for a moment all the false science and other invalid assumptions, it implies that there is a set of things which begin to exist and a set of things which don't begin to exist and which, therefore, are assumed to have no cause and to require no explanation in terms of causality. This is, of course, a form of special pleading where the god being promoted is exempted from the standards demanded of everything else. It is an attempt to protect an invalid assumption from scrutiny and thus to sneak it past the audience undetected. But that last point aside, how did Richard decide on what should be in this set of all things which don't begin to exist, and why has he restricted it to his preferred god? Quite simply, he has created this set out of cultural preconceptions. There is no valid argument, and no reason given, why this set cannot contain many things, including many perfectly natural things, or why it should exists at all. In this respect if in no other, the entire Cosmological Argument is circular reasoning and special pleading. It might satisfy those who arrogantly believe their ignorant incredulity must be the best available measure of reality and whose parochial ignorance and cultural arrogance allows them to assume that the only possible answer is the locally popular god, but that's not the same thing as a valid argument. And in that last respect, the KCA is also nothing more than another god of the gaps argument and a false dichotomy fallacy. It is playing to the gallery rather than seeking the truth. In effect it argues the non sequitur that, because I don't know how the Universe began, it must have been the local god which did it. Now, I believe the next stage is that Richard replies to me. I have a number of questions for him, but maybe they can wait. This is my first rebuttal in my debate on the topic of the Kalam Cosmological Argument with the atheist known as Rosa Rubicondior. Rosa’s introductory post can be found here. I am aware that both Rosa and myself have blogged on this topic a number of times, so I agree that much of what was in both of our introductory posts would be repeats of what we have previously written. However I think the fun really begins at this stage in the debate. I would not say that it is deceptive for a contemporary doctor of philosophy to hold to the law of causality, because it is firmly grounded in the most standard work in philosophy, and to deny it often leads to absurd conclusions. In my introductory post, I offered an argument defending this premise. I said, If it were the case that some things could appear, uncaused, out of nothing, it would become inexplicable why anything and everything did not just pop into being uncaused out of nothing. This is a point that I think Rosa was planning to respond to in a later rebuttal. Therefore I think that the mistake being made here is to conflate causeless events with undiscovered causes. While the cause of these events may be beyond our knowledge right now, that is not to say that we will never find a cause. It is my argument, though, that the claim there is no cause for these events is not available to us as an option. Indeed, if it were, that would mean that the entire known universe just appeared uncaused out of nothing. This is a position that I do not even think that Rosa maintains, pointing out a number of possible causes for the universe, such as black holes, another universe, and so on. Finally, Rosa argued that there may be multiple causes for the universe. I would say that as the cause of time, this cause must transcend time, or be eternal and uncaused. So to say that there was a single cause is not an a priori insertion. It is a deduction. I do not want to spend much time on this because Rosa seems to agree with this premise. Rosa poses the question, though, in what time, and in what space, did the cause that I am proposing, exist in? Adding also that it is like saying that there is something north of the north pole. I agree completely, there was no time, prior to time, and there was no space, prior to space. That is why I argued that the transcendent cause of the universe must be timeless and spaceless. That is precisely why the cause of the universe could not have been something natural. Nature cannot be the cause of itself; the cause of nature must therefore transcend nature. I would like to go over what it means to be a cause of the universe again. As the cause of space, time, material and nature, the cause must be spaceless, timeless, immaterial, beyond nature, and personal as well (as I argued in my introductory post). If that is the case, then to say that it did not have a cause beyond itself is not special pleading, as Rosa suggested. It is a necessary deduction. The cause of time must transcend time, and therefore be eternal and uncaused. Therefore I do not think I am guilty of just plugging God in where I feel necessary. It is a deductive argument restricting against anything that is material, natural, spacial, temporal, or impersonal. This includes, as Rosa has comically stated in another blog, a peanut butter sandwich, Zeus, a Flying Spaghetti Monster, and a committee of Greco-Roman gods (so long as they are comprised of space – perhaps there is a particular theological stance that Pagan gods are immaterial). So, yes, this deduction is consistent with the monotheistic faiths, and is often employed by Muslims, Christians, Jews, and deists alike. But to say that the universe must have a personal, transcendent cause, and therefore Jesus Christ is the eternal Logos, would be a whopping non-sequitur. I agree with that. That is not my argument. As I understand it, this is where I attempt to rebut Richard's reply to my opening statement. The first premise of the KCA - that everything that begins to exist has a cause - is quite simply wrong. It is based on scientific ignorance and personal incredulity and ignores quantum mechanics. Even if this objection can be overcome - and I don't see how it can be anything but fatal to the KCA - there is no reason to assume there was a single cause. This flies in the face of experience and is based again on a naive view which ignores quantum mechanics. The second premise - that the Universe began to exist - may be naive in that it assumes the beginning of this Universe was the beginning of everything natural. It is fatally flawed in that it assumes a causality which is now known to be false, but overlooking that for the sake of argument, it also assumes, or certainly implies, that the Universe arose from nothing, yet the idea of 'nothing' is illogical because there is no sense in which 'nothing' can exist and still be nothing. In other words, it insists on a supernatural cause without justification and without considering possible natural causes. I cited several theoretical physicists to support the view that the Universe could have arisen spontaneously, naturally and without cause. The conclusion is wrong, or at best remains to be established, because the premises upon which it is founded are wrong. I then went on to point out how Richard's conclusion that a god must have created the Universe is based not only on false premises but also intellectually dishonest circular reasoning in that it assumes there exists a set of things which don't begin to exist - and which are therefore exempted from explanation in a form of special pleading - which is restricted to Richard's preferred outcome without any evidence being offered, or logical justification for this assumption. Including this monotheist cultural view merely serves to ensure the desired outcome from the KCA is achieved and is thus a philosophical sleight of hand designed to sneak a false assumption past the audience, illustrating how the KCA is aimed at a scientifically ignorant, culturally arrogant and parochial audience. However, Richard's fundamental error lies not so much in this failure to understand basic physics but in misapplying it. Causeless events are not examples of our inability to find a cause and have nothing to do with quantum uncertainty, but are real examples of events without cause. Spontaneous decay of a radioactive atomic nucleus, for example, is entirely unpredictable at the level of individual atoms. It is subject to the same sort of probability distribution over time as is the location of electrons in atomic orbit. In fact, the probability distribution forms a bell curve so that a property such as the half-life of a given isotope is a law of mass action - an emergent property from the chaos of unpredictability at the quantum level as applied to a large population; an appearance of order emerging from quantum chaos. It thus addresses the Ontological Argument not the Cosmological Argument. But even if Richard had been correct in thinking that Heisenberg Uncertainty has any relevance to the debate he would have destroyed his case with the very words he quoted from the Stanford Encyclopedia of Philosophy. He quoted, "What is debated is whether this inability to predict is due to the absence of sufficient causal conditions, or whether it is merely a result of the fact that any attempt to precisely measure these events alters their status." He thus conceded that the supposed 'Law of Causality' is at best a moot point and so not the established law his argument rests upon. An argument resting on a moot point is not proof of anything, so I would submit that Richard has de facto conceded the argument at this point, albeit unwittingly. As an aside, it is interesting to note how the Stanford Encyclopedia of Philosophy has conflated two different things. Heisenberg Uncertainty is not the same as the principle that the act of observing a system inevitably interferes with that system. This is the 'observer effect'. However, this is not the only point which destroys the KCA. It was of course destroyed by the fallacy of assuming a cause in the first place, which is merely the erroneous application of intuitive incredulity based on the macro world of Relativity to the Quantum domain where the Big Bang occurred. I will make the point once again that the Quantum world is often counter-intuitive. Even if we accept the arrogant and frequently observably false notion that intuition is a good measure of reality it has no useful role in quantum physics. Richard hints at the reasons for his errors early on when he argues, "I would not say that it is deceptive for a contemporary doctor of philosophy to hold to the law of causality, because it is firmly grounded in the most standard work in philosophy". What we are discussing here is physics, particularly cosmology, not philosophy. If philosophy has failed to keep up with modern science and so has failed to incorporate quantum mechanics, and especially in the case in hand, causeless events, then it must suffer the consequences. The test of the validity of a philosophical argument is not whether it fits with outmoded beliefs and old arguments but whether it fits the observable facts. In Richard's case he appears to be relying on a philosophy which fails the reality test. The deception lies in presenting fallacies as fact, either by failing to check or by ignoring the science. Ignorance is not an excuse especially with so much information so readily and freely available. Additionally, there is an implied claim of expertise which is demonstrably false. There is just one last point which speaks not so much to the KCA as to the fundamental approach of religious apologetics. Richard has completely failed to address the point that the KCA relies on the notional existence of a set of things which don't begin to exists and for which, by implication, he has no need to explain a cause. He has yet to explain how he decided on the occupants of this set, how he assigned properties to them, how he excluded all possible natural causes, other than by a monotheist cultural assumption, why he appears to have restricted it to gods (and by implication, the Christian god) and why this attempt to protect this entity from the same standards he demands of everything else should not be regarded as disguised special pleading. In the absence of this rational explanation, Richard's restriction of the set to only his prefered outcome is arbitrary and and dishonest. It has no place in an honest debate intended to arrive at the truth. It is the tactic of the snakeoil salesman and shyster. He has thus failed to address the accusation that this is the intellectually dishonest trick of attempting to beg the question and rig the argument so only his desired outcome is possible, hence showing that the KCA is a sleight of hand designed to play to an ignorant, gullible and parochially arrogant audience and not an intellectual argument designed to establish truth. He has not established the validity of assuming a priori anything about this notional entity, least of all based on the outcome from his argument. Assuming a priori the existence of a god as an integral part of the argument he claims proves its existence is fundamentally dishonest and logically absurd. The KCA relies on demonstrably false premises, false assumption and intellectually dishonesty. It is nothing more than yet another argument from personal incredulity combined with a god of the gaps and a false dichotomy fallacy, compounded with a deliberate attempt to rig the debate with a disguised circular argument and special pleading. The KCA owes more to the tactics of the confidence trickster than to honest debate. Richard has failed to address any of my main points effectively and even the philosophical defense he attempted served only to render his major premise moot, hence not a foundation upon which truth can be established, let alone the proof mentioned in his proposition, namely, "the KCA proves the existence of God." In my argument, I explained that the law of causality is strongly founded in philosophical scholarship, so that it would not be dishonest to hold to it for a doctor of philosophy (which I was referring to William Lane Craig, as discussed earlier in the debate, not myself, and not overstating my knowledge of philosophy). Indeed much of science is often grounded on philosophical presuppositions or assumptions. To deny philosophy, seems to me to undermine not only philosophy, but science itself. As a product of scholarly work in this field, the law of causality is not just an assumption. It is rather based upon the arguments that (1) something cannot just pop into being, out of nothing, and (2) if something could just pop into being out of nothing, it becomes inexplicable why everything and anything does not just pop into being out of nothing. But Rosa offered an objection to this premise, saying that quantum events are sometimes causeless. But I pointed out that Heisenburg’s Principle Of Uncertainty shows that this is false, to which Rosa replied that this principle was irrelevant. But I do not think it is irrelevant. This principle shows that cause of quantum events is unknown (or unknowable, as it were). However that is not to say that these events are without cause. Rather, the cause is beyond our ability to know. There are a number of scientific theories meant to explain quantum fluctuations. Further, and critically, even if it were the case that things could just pop into being without a cause, I assume that Rosa’s preferred conclusion is that the universe is also a quantum fluctuation. But as the physicists Johann Rafelski and Berndt Mueller’s point out in their book The Structured Vacuum, the quantum vacuum is not nothing. It is space without matter; it is part of the universe. If the quantum vacuum is part of the universe, then it seems to me that it is also contingent upon it, and therefore could not be the cause of it. A cause must be greater than its’ effect. As such, the cause of the universe must transcend the universe. Since the quantum vacuum is contingent upon the universe, it follows necessarily that the quantum vacuum could not be the cause of the universe. Finally Rosa argues that because I pointed out that the causal determinacy of quantum events is debated, that therefore the law of causality is a moot point. But far from being a moot point, what I was pointing out was that the question of whether these quantum events are causeless or not is debated. It is my argument that these, or any events, being causeless, is not open to us as an option. I pointed out a number of times in my previous article that a cause must transcend its’ effect. If all of nature has a transcendent cause, it follows necessarily that there must be something that exists beyond nature. This point seems to have made Rosa uncomfortable in that it was argued that it may be the case that nature did not begin at the beginning of this universe. Therefore even if it were the case that this universe was not the beginning of all nature, eventually, we have to face an absolute beginning. Rosa again repeated the arguments that I just sort of asserted the existence of a personal transcendence without any logical justification. But I said multiple times, this is a deductive argument. God is not merely inserted without any reason, but is deduced. I argued that the cause of all material, space, time, and nature must be immaterial, spaceless, timeless, beyond nature, and personal as well. So I do not decide on the traits of the cause of the universe, they are rather deduced. Further, Rosa asked how I know that the cause is not natural. Well, the cause of all nature cannot be natural. Therefore, it is not the case that this argument is special pleading, circular reasoning or dishonest at all. It is simply unpacking what it means to be the cause of space, time, material and nature. Probably the best approach here is to take Richard's assertions one by one and point out where they are simple arguments from personal incredulity and stem from a misunderstanding of basic science and an assumption that somehow philosophy is exempt from the need to pass a reality test. These are probably obvious to any objective observer but I will run through them just in case they are not readily recognisable. Richard's points are in blue. But Rosa offered an objection to this premise, saying that quantum events are sometimes causeless. But I pointed out that Heisenburg’s Principle Of Uncertainty shows that this is false, to which Rosa replied that this principle was irrelevant. But I do not think it is irrelevant. This principle shows that cause of quantum events is unknown (or unknowable, as it were). However that is not to say that these events are without cause. Richard continues to confuse Heisenberg Uncertainty with the 'observer effect'. As I pointed out above, Heisenberg Uncertainty has nothing to do with the observed phenomenon of uncaused quantum events. The fact is that this is not an illusion caused by our inability to detect a cause but a real phenomenon. I cited radioactive decay as an example. Another example is the spontaneous return of an excited orbital electron to its ground state. Neither of these events are predictable because there is no change in the system immediately prior to the event. A cause cannot be detected because it is not there. This might seem counter-intuitive but, as I have said before, intuition is not a useful measure of reality at the quantum level. Not necessarily an example of an uncaused event? But for the KCA to be the extraordinary proof required for such an extraordinary claim as a supernatural intelligence existing with enough complexity to create and control a Universe it needs to be stronger that that. Richards needs to show that the Big Bang was necessarily a caused event. He has offered no evidence for that proposition save his own incredulity that it could be anything else. There is no 'plugging' anything into an a priori assumption on my part. I have simply pointed out that the Big Bang was a quantum event and therefore could have been causeless. I have also pointed out that, as a quantum event it is very likely to be counter-intuitive and not something which intuition or incredulity can provide much help in understanding. I note that Bernulf Kanitscheinder mentions nothing approaching a supernatural entity and that nothing he says negates the point I made that the cause of the universe, if indeed it had a cause, could have been something natural and explainable in terms of material reality. I earlier suggested a blackhole in another universe as being a prime candidate for providing the quantum vacuum in which this Universe could spontaneously, and causelessly self-generate. If we are to cherry pick our authorities to appeal to then I can quote Stephen Hawking who said, in The Grand Design, that the existence of the law of gravity means that the Universe could have spontaneously generated with, "It is not necessary for God to light the blue touchpaper". But trading experts probably leads to stalemate so I'll simply point out that Richard's argument is, and remains, a god of the gaps argument compounded with personal incredulity. He has not shown that a universe necessarily has a cause; only that he can't think of why it wouldn't. Nor has he shown why we even need to consider a cause other than that he can't think how else it could happen. Further, and critically, even if it were the case that things could just pop into being without a cause, I assume that Rosa’s preferred conclusion is that the universe is also a quantum fluctuation. I have no preferred conclusion. I merely point out that the KCA does not establish either its first or second premise and therefore its conclusion is invalid. There is no reason to believe a supernatural entity created the universe because there is no evidence for the existence of such an entity. But as the physicists Johann Rafelski and Berndt Mueller’s point out in their book The Structured Vacuum, the quantum vacuum is not nothing. It is space without matter; it is part of the universe. Here we see again a fundamental misunderstanding of basic physics. Space is an internal property of this Universe. The Big bang did not occur in pre-existing space in this Universe because there was no space for it to occur in. If the quantum vacuum is part of the universe, then it seems to me that it is also contingent upon it, and therefore could not be the cause of it. A cause must be greater than its’ effect. As such, the cause of the universe must transcend the universe. Since the quantum vacuum is contingent upon the universe, it follows necessarily that the quantum vacuum could not be the cause of the universe. Once again, reality is not determined, especially at the quantum level, by 'it seems to me'. I'm astonished to see Richard fall back on incredulity having gone to such lengths to deny that the KCA is something else. But here he raises another point which we haven't touched upon because it isn't strictly part of the KCA until we come to my final objection which Richard has still failed to acknowledge or address. More of that in a moment. Here Richard raises the absurdity contingent in his argument that a cause must be greater that its effect. This of course is demonstrable nonsense as the butterfly effect in chaos theory shows. However, if we accept Richard's hopeful assertion, he now has to explain how a supernatural entity greater than the universe apparently exists without cause. I fully expect special pleading to be the tactic here. It amuses me how often apologetics needs to abandon its fixed and immutable laws to make them work and to enable their creation to compete with real-world science. This would normally be regarded as fatal in real-world logic. Of course, as pointed out before, a quantum vacuum in another Universe is perfectly adequate to explain the spontaneous generation of this universe, even if we concede for the sake of argument that there is a cause to be explained. What Richard actually pointed out was, "What is debated is whether this inability to predict is due to the absence of sufficient causal conditions, or whether it is merely a result of the fact that any attempt to precisely measure these events alters their status." This was of course on the earlier (not my final) argument about Heisenberg Uncertainty. Apart from conflating and confusing that with the observer effect, this clearly implies that existence of causeless events remain moot. Since this was Richard's attempt to establish that all events must have a cause by appeal to the authority of an encyclopedia of philosophy, I see no reason still why this should not be regarded as evidence that the existence of causeless events is possible and therefore the first premise of the KCA is destroyed. Richard has chosen a poor witness and it has testified against him. This of course is simply a restatement of the argument from incredulity. I note Richard's rather desperate attempt to play the straw man fallacy and impute motives to me which he can't possibly know. Richard's task here is not to find an excuse to wave aside my objection to his argument from incredulity but to establish that his claims and propositions stand up to scrutiny. It is of course perfectly rational to suggest that this Universe could have a perfectly natural predecessor in another universe. Richard needs to explain why that is impossible before we need consider his evidence-free supernatural notion. Indeed, I would go further and say that Richard needs to show why all possible natural causes are impossible before we need to consider his alternatives. Only then can we begin to examine those to determine which is the most likely, if indeed any of them are. Hilbert's amusing illustration of the mathematical paradox of infinity has no bearing on my argument. I merely note that it represents an insurmountable problem for Richard's 'eternal' supernatural deity, but that isn't strictly relevant to the KCA either, which falls apart before we need to consider the nature of Richard's notional deity. An argument from incredulity which will have to be abandoned the moment we apply it to Richard's notional deity in another display of special pleading. There is, of course no reason why reality in toto needs to be bounded by time just because time is finite in this universe. A quantum foam of co-existing universes is perfectly rational. Indeed philosophers such as David Deutsch argue that it must occur (see The Fabric of Reality, David Deustch, 1997). It is amusing that Richard insists that everything must begin to exist whilst insisting that his notional deity couldn't have done. I think this tells us much about the intellectual honesty and dependence on double standards of modern apologetics. Finally I note that Richard has again avoided dealing with my point that he is implicitly claiming that there exists a set of things which don't begin to exist into which he has arbitrarily placed a cultural preconception without any explanation or logical reason for having done so. It appears to be for the sole purpose of rigging the debate and disguising the circular reasoning of the KCA. A deity is assumed to be the only occupant of this set so that the desired conclusion is arrived at, yet the KCA is presented as the reason for believing this deity exists in the first place. The KCA would clearly fail if this deity was not assumed a priori to exist. Indeed, the fact that one can designate any notional object, no matter how absurd, as the sole occupant of that set and so 'prove' that anything you want caused the Universe illustrates the fallacy of the KCA. Not surprisingly, and very revealingly in my view, Richard has consistently declined to explain how he arrived at that set of all things which don't begin to exist, how he determined their qualities and powers and why he has apparently excluded anything but his desired conclusion from it. How did you arrive at the set of all things which don't begin to exist, why did you exclude all possible natural causes from that set, and why did you restrict it to your preferred conclusion, namely a supernatural deity? Why should this not be regarded as an attempt to rig the debate so only your preferred conclusion was possible? Why it this not an example of circular reasoning designed to play to an ignorant and parochially arrogant audience rather than to arrive at the truth? Response: I answered this question a number of times. I suppose once more will not hurt. It begins with the law of cause and effect, namely that a cause must transcend the effect. The effect obviously did not exist prior to its’ existence. Therefore the cause must transcend it. Nothing within the cause can be contingent upon the effect. If time had an absolute beginning, it follows that the cause of time must be timeless, or eternal, and not beginning to exist. So the same with nature. If nature had a cause beyond itself, it follows necessarily that cause must be beyond nature. That is the necessary criteria for any possible cause of space and time; it must transcend space, and transcend time. It is not necessarily restricted to my preferred conclusion, it is just a deduction. Rosa Rubicondior: “Why should this not be regarded as an attempt to rig the debate so only your preferred conclusion was possible? This is an argument leading to the conclusion that God exists. If we were debating the problem of evil, that would be an argument leading to the conclusion that God does not exist. Just because an argument has a particular conclusion, does not mean that the debate is being rigged to favor that conclusion. It is your audience that this debate is being presented for. Perhaps you are referring to the large atheist church that has arisen in England when you use the word parochially. Although I do not think that you would be so rude as to call your own audience arrogant. In any case, this argument is not circular. A circular argument is when the conclusion is embedded in one of the premises. But neither “everything that begins to exist has a cause,” nor “the universe began to exist,” presupposes that the universe had a cause or that God exists. This is an example of deductive reasoning. 1 – What is the difference between an argument leading to the conclusion that God exists, and a God Of The Gaps argument? 2 – Could the cause of all nature be natural? 3 – If it follows deductive that the cause of all time is timeless, would that explain why the cause of time does not begin to exist? It's not clear whether the 'rules' of this debate permit me to respond to Richard's three answers at this point. Never-the-less I will, before answering the three questions he put to me. I would also point out that Richard has still to deal effectively with the major flaw in the KCA in it's first premise, namely the demonstrably false claim that everything that begins to exist must have a cause. His best defense served only to show that even his star witness - the Stanford Encyclopedia of Philosophy - implies that that claim is moot and not the basic 'Law of Causality' that Richard claims. At the quantum level causeless events are common and well documented, and the Big Bang was undoubtedly a quantum event. Given that fatal flaw, all the rest of this debate has been of mere academic interest. I asked: "How did you arrive at the set of all things which don’t begin to exist, why did you exclude all possible natural causes from that set, and why did you restrict it to your preferred conclusion, namely a supernatural deity?" Richard's reply: I answered this question a number of times. I suppose once more will not hurt. It begins with the law of cause and effect, namely that a cause must transcend the effect. The effect obviously did not exist prior to its’ existence. Therefore the cause must transcend it. Nothing within the cause can be contingent upon the effect. This reply avoids the question completely. I invite anyone to show me where Richard has answered it anywhere in the preceding exchange. Richard's response simply tries to justify having this set of things which don't begin to exist (and restricting it to his preferred conclusion) and says nothing about how he arrived at the members of that set, how he excluded all possible natural causes (for example a black hole in a pre-existing universe, or indeed some other as yet unidentified natural cause) or why it contains only the god he has a priori assumed to exist to make the conclusion of the KCA come out the way he wishes. I asked: "Why should this not be regarded as an attempt to rig the debate so only your preferred conclusion was possible?" Richard's reply: This is an argument leading to the conclusion that God exists. If we were debating the problem of evil, that would be an argument leading to the conclusion that God does not exist. Just because an argument has a particular conclusion, does not mean that the debate is being rigged to favor that conclusion. Again an evasive answer, unless Richard is explaining that it is okay to try to rig the debate if he wishes to conclude that God exists. I assume, since he capitalizes God that Richard has now abandoned his earlier pretense that the KCA "does not necessarily prove the existence of the Christian conception of God. The question of who this God is just left open for future inquiry", (see the end of his opening statement above) and is now going all out to try to convince me that the KCA has proved that his favourite god exists. Of course Richard has not addressed how he justifies his a priori assumption that his favourite god exists (or any other god for that matter) so that he can insert it into this specially-created and exclusive set of things which don't begin to exist and which we may not examine and don't need to justify or explain the origins of, otherwise the KCA fails under it's own logic. In other words, Richard has not justified trying to rig the debate, beg the question and use circular reasoning. I asked: "Why it this not an example of circular reasoning designed to play to an ignorant and parochially arrogant audience rather than to arrive at the truth?" Richard's Response: "It is your audience that this debate is being presented for. Perhaps you are referring to the large atheist church that has arisen in England when you use the word parochially. Although I do not think that you would be so rude as to call your own audience arrogant. In any case, this argument is not circular. A circular argument is when the conclusion is embedded in one of the premises. But neither "everything that begins to exist has a cause," nor "the universe began to exist," presupposes that the universe had a cause or that God exists. This is an example of deductive reasoning." Richard's evasion become even more obvious in this one where he dishonestly attempts to turn the audience against me by implying that my question insults them. (His gratuitous and irrelevant insult of UK atheists is probably a sign of frustration as he struggles to justify his rigging of the debate without admitting to the intellectual dishonesty and baseless assumptions he has had to use.) Of course my question addresses his apparent assumption that his target audience is ignorant and parochially arrogant, and gives him a opportunity to explain that this is a false perception on my part. He singularly fails to do so and resorts to a familiar trick of the shyster and dishonest debater of trying to make me feel guilty and ashamed for having asked him an embarrassing question. Richard correctly points out that a circular argument is one where the conclusion is imbedded in one of it's premises. Of course that is exactly what he has done when he assumes a priori that God exists and is the only candidate for the 'cause' of the universe, in other words, the only permitted occupant of his set of things which don't begin to exist. He has failed to explain why he did that and yet his argument should not be regarded as circular. What is the difference between an argument leading to the conclusion that God exists, and a God Of The Gaps argument? An argument leading to the conclusion that (a specific god) exists would be the same as the argument that anything else exists. It would be based on evidence of existence, in other word by being able to detect and measure it in some way, in the same way that you would know there is a bus in the road outside your house. A God of the Gaps argument makes an a priori assumption that a god exists and simply fits it into gaps using the false dichotomy fallacy that if science hasn't yet explained it it is unexplainable and the god being promoted is the only alternative. I'm astonished if Richard really doesn't understand the fallacies in the God of the Gaps argument nor the nature of scientific evidence. Could the cause of all nature be natural? Yes. Richard's task was to explain why this could not be so. He has singularly failed to do so. Nature has no need to conform to personal incredulity and Richard's failure of imagination is not a scientific (or philosophical) argument. In fact, there are no known examples of anything natural ever being shown to have an unnatural or supernatural cause so there is no reason to suppose the universe is any different in that respect, even if we concede for the sake of argument that it actually had any cause even though it was a quantum event. If it follows deductive (sic) that the cause of all time is timeless, would that explain why the cause of time does not begin to exist? What an astonishingly disingenuous loaded question! Richard needs to establish that 'the cause of time does not begin to exist' rather than trying the tactic hoping that whatever answer I give will imply acceptance of the assertion. The only relevance this can have to the debate is an oblique attempt to cope with my criticism that the notional god the KCA a priori needs to assume also has to be defended with special pleading and so is exempted from the need to explain where it came from, what it is made of and how something so complex needs no ontological explanation, yet everything else does, apparently. It is, of course, as dishonest and disingenuous as me asking Richard if it follows deductively that the cause of time is not timeless, would this explain why his favourite god doesn't exist? But then I don't need to try tricks and introduce red herrings at this stage of the debate. My initial statement remains unassailed. Time is an aspect of this Universe and may be a human construct in that it helps us fit events into our desire for narrative. It says nothing about time in another universe, nor about time in a quantum foam of co-existing universes. Time has not yet been defined scientifically and remains something of an enigma. It is believed to be quantised with a minimum duration of 1 x 10-43 seconds, which follows from the Planck Length or minimum dimension of space which can exist. Relativity regards it as part of spacetime and not a separate entity. It is inextricably bound up with the nature of matter itself. Indeed, one interpretation of Feynman's Path Integral Equation is that antimatter is merely matter travelling backwards in time. If Richard believes he has a good scientific definition of time then he should produce it and explain why he thinks it exists distinct from the fabric of the universe and so needs a separate causal explanation and why that cause didn't begin to exist and is exempt from the need for explanation. Often our logical conclusions presuppose what is known as a basic belief. A basic belief would be a belief that we cannot prove by any empirical means, but that we are all rational accept. They are the foundation that the rest of our beliefs are constructed upon. Metaphysical truths about the existence of the external world (I am not just a mind in vat), the validity of sense experiences, and our ability to learn about the world would be examples of these beliefs. It might also be argued that things such as causality, at least on an elementary level, can be categorized in this way. As we begin to cognitize, we recognize immediately that things have a cause, that they do not just appear, uncaused, out of nothing. In this case, the Kalam Cosmological Argument presupposes our basic beliefs about the external world. Just as if “the external world is real,” were a premise in an argument, so the same with “Everything that begins to exist has a cause,” is a premise in this argument. This premise is firmly founded in what we can see plainly, and to cast doubt upon it, seems to me to compromise any beliefs that we might hold. If reality so fundamentally contradicts what we believe as we begin to cognitize, then one might wonder how it is that we can come to know anything. Despite that, Rosa has raised an objection to the idea that everything that begins to exist has a cause, namely the quantum vacuum is an example of things coming to being out of nothing. But as I pointed out, this is not an example of non-causality. There are a number of theories in the works regarding the causality of quantum events. Indeed the quantum vacuum itself is a causal process, as indicated by Kanitscheider. To this, Rosa replied that Kanitscheider did not say anything about God. Indeed, he did not. But he did explain that quantum events is not necessarily a non-causal process. Rosa asked why it is that the quantum vacuum could not be the cause of all of matter, energy, space, and time, but I already replied to that question. Rafelski and Muller pointed out that the quantum vacuum is comprised of space. It therefore must transcend space. This is truly an elementary point. Space did not exist, prior to its’ existence, to play any causal role. In the same way that I could not cause myself to come into being, so the same with all of nature. This debate has truly been over very elementary points. Rosa questions why it is that something cannot pop into being uncaused out of nothing, and why it is that nature could not exist prior to its’ existence to cause itself. These are just desperate attempts to avoid the conclusion of these argument, willing to compromise even fundamental aspects of reality. After conceding this premise in the introductory post, Rosa has changed gears, now arguing for a universe with an infinite past. I brought up the example of Hilbert’s Hotel, and Rosa replied that it has no bearing on reality. Well, that was my point! While the infinite can be applied to mathematics, it cannot exist in reality, because an actual infinite number of things leads to logical absurdities. Hilbert could not have an infinite number of hotel rooms. Further, this premise is supported also by the Borde-Guth-Vilenkin theorem, a point to which Rosa has yet to respond. However Rosa does argue that if an infinite number of things is logically absurd, it follows that the existence of God is logically absurd. Well, as the cause of time, to posit something as the cause of time is not to posit an infinite number of things. This would be the case for any possible cause of time. It would be eternal, and not confined to the limitations of space and time. Even so, this does not compromise this premise of the argument. Therefore I do not think there have really been any sound objections to this argument. Rosa Rubicondior even conceded it until realizing the logical consequences of this point. I put forth an argument in my introductory post and repeated it several times since, which Rosa has pretended was not there. As the cause of space, time, material, the cause of the universe must transcend space, time, and material, therefore rendering it eternal and uncaused, spaceless, immaterial, powerful, intelligent and personal. This deduction is precisely why the cause of nature could not be natural. Nature could not exist prior to its’ existence. Prior to its’ existence, it had no causal properties. Therefore the cause of nature must transcend nature. The cause of time must transcend time. These points seem to make Rosa extraordinarily uncomfortable. For that reason, I have been the recipient of a number of attacks and my argument has been accused of God Of The Gaps. Rosa continues to pretend that this argument is not a deduction. Ensuring that Rosa knew the difference between a God Of The Gaps and a deductive argument in my three questions, I can now confidently point out that Rosa is intentionally setting up a straw man of my argument, a tactic which I think has been fully exposed in this debate. That is why the same question has been posed again and again despite receiving answers. Rosa does not want answers. Rosa wants to pose questions, set up straw men and red herrings. Rosa wants to employ debate tactics. But as we have seen, this argument is not a God Of The Gaps, it is a deduction. I have said a number of times that of course it does not prove that the Christian conception of God exists, but Rosa has said in the last blog post that this was my argument. Clear straw man. In any case, I am grateful to have had the opportunity to participate in this debate and expose the objections that my debate opponent has consistently employed. Richard's response is disappointing but not unexpected. "Never leave go of Nurse, for fear of finding something worse"
He clings to preconceptions derived from nothing but his personal incredulity like a drunk clings to lamp-posts. Consequently he spends a great deal of time going round them but makes very little progress. He clings to his few 'expert' witnesses in a similar fashion, as he did with the Stanford Encyclopedia of Philosophy where, even when it was pointed out that it actually implied that Richard's 'Law of Causality' was no such thing and that the existence of non-caused events were at best moot, not the immutable law the KCA requires, Richard ploughed on regardless, insisting the words meant something else. He similarly refused to accept that his encyclopedia had confused and conflated two different things - Heisenberg Uncertainty, and the 'observer effect'. Nor could he accept that neither of these things impinge on the observable fact of uncaused events and continued to argue wrongly that they somehow precluded what can be observed, namely, that at the quantum level, uncaused events occur. His sole reason for rejecting this comes down to incredulity, despite the fact that the Big Bang was a quantum event and quantum events are often (usually?) counter-intuitive. For example, "As we begin to cognitize, we recognize immediately that things have a cause, that they do not just appear, uncaused, out of nothing." Richard seems incapable of accepting that, especially at the quantum level, his intuition may not be the best available measure of reality, so he continues to demand we accept that his incredulity precludes anything which he doesn't want to be true and somehow trumps observable reality. Richard's basic error seems to have been to rely on confirmation bias in his reading and to have cherry-picked books and authors who agree with him, ignoring all others. One consequence of this has been his over-dependence on obscure philosophers with no history of research or publication in peer-reviewed physics journals or books, hence his failure to spot the error mentioned above in the Stanford Encyclopedia of Philosophy. Indeed, at one point I needed to remind him that we were discussing science not philosophy and that the test of good philosophy is that it passes the test of scientific reality. If philosophy argues that something can't happen when science shows it can and does happen then philosophy is wrong. Indeed, this is how we know when philosophy is wrong, just as we know the KCA is wrong. It runs counter to what we know with science. So, Richard's KCA fails with it's first premise. There is no reason to suppose the Universe had a cause because, being a quantum event it is perfectly possible for it to be causeless. He makes great play of my 'concession' that this universe had a beginning and falsely accuses me of trying to backpedal on this point. I have done no such thing and Richard's frankly dishonest misrepresentation of my point betrays his lack of confidence in his own argument. 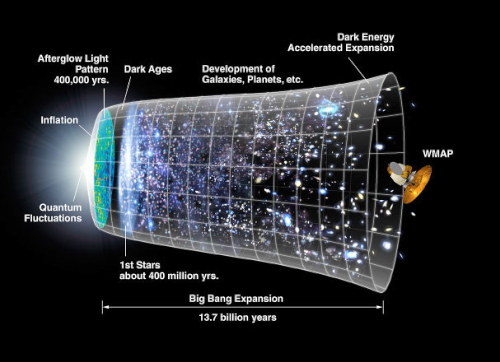 Time and space in this Universe undoubtedly began at the Big Bang. How could I have been arguing otherwise when we have spent so much time dealing with the fact that the Big Bang was a quantum event? However, the point which clearly embarrasses Richard is that this does not preclude the Big Bang arising in a non-zero energy quantum field in, for example, a black hole in a co-existing Universe - a perfectly orthodox scientific view. Or even to have arisen spontaneously as physicists such as Stephen Hawking, Lawrence M Krauss and Victor Stenger have convincingly argued. Richard will not have read about this in his friendly books by philosophers who agree with him and which have not been updated to allow for quantum physics. We have also seen Richard implying that his experts agree with him when they do no such thing. For example, his favourite philosopher, Kanitscheider, did not support the notion of a god in the passage Richard quoted and is, in fact, a hedonist. His Wikipedia entry reads, "In his natural philosophy, he represents a consistent naturalism, according to which even the cultural achievements of the people - the subject matter of the humanities - Represent merely "organizational forms of spontaneous order formation on a ontologically early layer of matter." Richard has been clearly selectively quote-mining and misrepresents even his expert witnesses. Richard has also been inaccurate in his summary above where he says, when talking about infinity for reasons which remain obscure, "Further, this premise is supported also by the Borde-Guth-Vilenkin theorem, a point to which Rosa has yet to respond. In fact I responded fully with "Hilbert's amusing illustration of the mathematical paradox of infinity has no bearing on my argument. I merely note that it represents an insurmountable problem for Richard's 'eternal' supernatural deity, but that isn't strictly relevant to the KCA either, which falls apart before we need to consider the nature of Richard's notional deity." Richard failed to address this problem for his argument. I cited the possibility of a black hole in a co-existing universe as an example of a possible natural explanation. It is only necessary to postulate something rational as an explanation for the universe for the KCA to be destroyed because it is predicated on the premise that there can be no such thing. I have shown this to be false and Richard has failed to refute it, hence the KCA also fails at its second premise. I have shown that "everything that exists has a cause" is a false premise. Richard has not moved beyond his incredulity that this could be anything but intuitively true. He has had to ignore the evidence of quantum physics to cling to this assertion. I have shown that "the Universe had a (supernatural) cause" is also a false premise in that it is perfectly rational to argue that the Universe may not have had a cause or that it had a perfectly natural cause. Richard's refusal to accept this is again based on nothing more than incredulity. The final conclusion of the KCA is therefore invalid and based on nothing more than Richard's incredulity that it could be otherwise. Lastly there was the subtext in all this, and the real purpose of the debate so far as I was concerned - to show the dishonest circularity of the KCA and how modern religious apologetics owes more to the snakeoil salesman and confidence trickster than it does to honest debate and a desire to arrive at the truth through reason and logical deduction. I repeatedly asked Richard to explain his unstated assumption that there exists a special set of things which don't begin to exists, how he decided on what should and what should not be included in it, why he apparently arbitrarily, designated his own cultural preconception of a creator god as the sole occupant of this set, and why this should not be regarded as a dishonest attempt to rig the debate by begging the question and why this was not a disguised circular argument. I also pointed out that this seems to me to depend on a parochial and culturally arrogant audience to work, and gave Richard the opportunity to explain why that was a false perception on my part. Very clearly, even if Richard had been able to establish the validity of the first two premises of the KCA, it would require a priori acceptance of the god being promoted to conclude that it could be the only cause of the Universe. This is nothing more than a cultural assumption and Richard has carefully avoided any discussion on how he arrived at this particular god's properties or why he excluded everything else from his set of things which don't begin to exist. Nor has he attempted to justify the special pleading he implicitly uses to protect this notional god from being subject to the same standards of evidence he demands from science. For example, he claims (wrongly) that cause must be greater than it's effect yet offers no cause for his god and denies it needs one. He argues that everything must begin to exists yet insists this 'law' should be waived for his preferred god but for nothing else. He argues, irrelevantly, that infinity is a nonsensical concept but insists his god is eternal. Hence, even if the KCA were grounded in science, the conclusion would not flow from it and it would be no less circular and no more honest. The fact that the KCA can be used with equal (non) validity to 'prove' the existence of anything one wishes and which we have arbitrarily designated as the cause of the Universe, should be a clue to it the fallacy of the argument. Richard has singularly failed to deal with these questions. His evasiveness and attempts to make me feel guilty for asking them betray his sensitivity to the charge of playing to the gallery rather than seeking the truth and to the charge of trying to foist a dishonest and disingenuous sleight of hand on his audience. I submit that it has been established beyond reasonable doubt that the KCA is a trick designed not to convince doubters but to pander to the bias of an already convinced audience. It is not designed to seek the truth so much as to seek money, power and influence. It is a trick intended to deceive the credulous and gullible. Had Richard been more honest in this debate and had he refrained from tactics and tricks when he had no substance I could have allowed him the courtesy of assuming he had been deceived by it himself. I'm grateful for Richard for giving me another opportunity to expose modern religious apologetics as the dishonest currency of the intellectually and morally bankrupt. At this point, each debater will pose three questions to the other. So this post is your introductory post. The Question round is fourth. Also I may not be able to reply again until tomorrow. I look forward to your response. Bushey in the first part of his argument finds the notion of ‘something from nothing’ absurd. However, later on he admits that ‘god’ brought the universe into existence from nothing. Indeed, whether or not there is a causal agent at work, ‘observers’ at the beginning of the universe would indeed witness something from nothing. By virtue of Occam’s razor, we should settle on the simple, and thus more plausible, something can come from nothing than resort to the more convoluted ‘god did it’. I think Bushey is closer than he realizes to accepting the ‘absurd’ fact that something can come from nothing; he just needs to be nudged a little. Perhaps your documentation of non-causal events at the quantum level will do the trick. I expect not by virtue of his quip that “anything and everything did not just pop into begin uncaused out of nothing” or “ if the reader were wondering who the author of this article was, it would be profoundly irrational to say that there was no author, that it just popped into being, uncaused out of nothing. if the reader were wondering who the author of this article was, it would be profoundly irrational to say that there was no author, that it just popped into being, uncaused out of nothing”. His thinking on this is limited to the macro-world of everyday experience. By the way, this seems to be characteristic of apologists – William Lane Craig rejects something from nothing based on intuition and everyday experience. Obviously these are not legitimate reasons to dismiss the un-obvious (e.g., duality of light). Indeed, the un-obvious is a delight in the world of science and it really is what drives much of science. Bushey attempts to get ahead of the notion that a process of universe creation could be eternal and thus replace god. His argument against this is that “if the properties for creating the universe existed forever, and were just part of a mechanical process, the universe should also have existed forever”. The second part of his reasoning does not follow from the first part. An ‘eternal’ universe-creating process could create universes that eventually cease to exist; it is not a logical necessity that an eternal universe-creating process create universes that exist forever. As a analogy, the ‘process’ of human reproduction (though not eternal) exists beyond any one particular life. Later on in his argument, Bushey espouses intent on the part of god – god created the universe by application of free will. But he provides no connective tissue for this claim other than “it must be enormously powerful and intelligent as well, which presupposes that it also must be a personal entity”. Why exactly? Bushey and other apologists argue that god, by necessity, must be timeless, spaceless, immaterial, powerful, intelligent, and personal. But they do not justify this aspect of their argument, which they need to do as it is not (logically) necessary for ‘god’ to have intent in creating the universe. It is proffered, I think, so that apologists can get to a personal deity. God did not create the universe from nothing. He created it from "no (material) thing"
The most reasonable conclusion is that God created the universe from immaterial information. What exactly IS 'immaterial information', please? In your next post, please publish your second rebuttal along with your three questions that you would like me to answer. I will answer the three questions in my next post and pose three to you as well. The position and momentum of a particle cannot be simultaneously known. This is not the same thing as not being measure with our current technology. The opening paragraph is a doozey. Richard and I have debated KCA before (http://web.archive.org/web/20120901222933/http://lcwym-the-existence-of-god.34778.n6.nabble.com/The-Kalam-Cosmological-Argument-td2.html , suspiciously missing from the current KCA article on that site, but preserved by Wayback, and also on Richard's site http://thereforegodexists.com/2012/08/something-nothing/.) He displayed the same odd resistance to fact in our debate. He seems to think the "Law of Causality" in his philosophy book overrides observation. For some reason, it appears perfectly reasonable to him to claim all things have cause, be shown a quantum counterexample to that claim, then assert that it has cause anyway, we just don't know what it is yet, and feel he has still met some burden of proof. The next time he debates with an atheist, he will probably still pretend he has never heard these points before, and will still use unheard-of non-scientist Bernulf Kanitscheider who never published in English as his "expert" in quantum physics. Since he can't find an actual expert to say what he wants to hear, and won't change his view to match facts, dishonesty is all that's left to him. It is false to say there are causeless events at the quantum level. The cause is the quantum field itself. We do not know the exact mechanism of action and may never know, but it is contrary to sound philosophy to assume the events are causeless just because we do not know the mechanism. Sorry, but 'I don't know what it is but it must be something' is not a rational scientific argument. It's just another argument from personal incredulity. The universe is not required to conform to your requirements or to be easily understandable by you. As I pointed out to Richard Bushey in the debate, if philosophy disagrees with observed reality then philosophy is wrong. Science is what we use to tell what is true and what isn't. This holds true even if you wish it didn't. Reply with your three answers and after that will be the final round (conclusions). In Richard's answer to Rosa's first question he implies a cause of time is 'eternal'. Without time the word 'eternal' holds no meaning. This is just an example of the human mind, understandably, failing to grasp how the world works at a level without spacetime. I sure as hell don't understand it but the assumption in his answer is nonsensical in this regard. Indeed. Richard also talked at one point about the space the BB occurred in. This is also nonsensical since there was no space in this universe before the BB. And so the whole thing goes round and we're left with the inability of the human brain to comprehend what happens outside spacetime. Some might say 'a gap' in our understanding - note the meaningless use of 'eternal' still present in Richard's conclusion. If anybody can't be bothered reading the whole KCM it can be summed up as saying 'we call the cause of our universe' God. It's just semantics. A name for the 'gap' in our knowledge. Conclusion: you know what, it could be a God. It could be a quantum process. It could be something else we don't understand, as yet! That this leads to the Christian conception of God still seems laughable to me. If this whole thing isn't a 'god of the gaps' assumption then I don't know what is! God used to be stuffed into more gaps but he's had to beat a hasty retreat from them and is now cowering in the few remaining ones which haven't closed with limited human logic tricks such as the KCM. Nice try but an epic fail I think! "We don't fully understand how the universe came to be yet, but I know the god I was raised to believe in did it." A friend of mine who is a physics student reviewed this debate and had a response to something that you said. I thought I might share it here. Rubicondior: "At the quantum level an individual particle exists in all possible states simultaneously. These different futures only decohere at the macro level due to quantum entanglement, as described by Richard Feynman in the Feynman Equation." Response: "This is a meaningless sentence. Decoherence is not due to quantum entanglement; it is precisely the loss of quantum entanglement. And this has almost nothing to do with Richard Feynman's work! And there is no Feynman's equation! Feynman is known for something called 'Path Integral Formulation' which has nothing to do with decoherence. I think she is just throwing out random words stringed together into a sentence. If she knew what these words are, she wouldn't be using them in that way." Hopefully, your student friend is a fresher and isn't nearing the end of his/her course. Feynman's Path Integral Formula is commonly referred to as 'the Feynman Equation'. It specifically explains how the sum over histories of particles in a complex structure decohere. Many people believe this integrates the many futures apparent at the quantum level into a single future at the macro level though some disagree with this interpretation. Hopefully your friend will still be successful on his/her course despite this little difficulty. I took Richard to task on the KCA just over a year ago. He refuses to let it go even in the face of having every fallacy present in the argument pointed out. Apologies for the formatting, it was not a formal debate. I'm beginning to wonder if Richard's tactic is to keep challenging people to debates in the hope that he'll eventually find someone who doesn't refute his arguments, so he can claim to have won and therefore proved his claim. It's a bit like the creationist who keeps asking the same questions about evolution and ignoring the answers. A kind of last-man-standing debate technique used by those who think the last player to leave the ballpark has won the game regardless of the actual score. It seems particularly infantile to me. I think that may very well be the case. It's a shame really because if it were not for the intellectual dishonesty, he'd be a worthy intellect. I'm deeply impressed, Rosa, by your polyhistor-like knowledge. Furthermore you're very good at making complex scientific data/facts accessible for most of us (of course with the exception of creationists). This debate was better than the debates I have actually. When I assert the uncertainty principle and radioactive decays in a particle, the opponents of mine usually begin to laugh, as though they have never heard it before. 2. heterogeneous - enough to postulate the presence in it of one more element - the Most High and Almighty God - with open systematically. It is easy to assume that even at the lowest possible deployment of the intangible component of the essence of God - the Spirit of God - for the level of the original downwardly directed the permanent deployment of the material component of the essence of God, there is a curtailment of Simple and Complex /i.e.. It is their decay due to blocking of origin upwardly directed constantly deploy intangible components of the entity / as much as possible heterogeneous to God's essence minimum possible number of cell uniformity (1H), and God on the basis of the material components of the 1H deploys the minimum possible heterogeneous to its essence as possible numerically elemental homogeneity (2H). Coagulation process will begin in 2H known God start time since the completion of its deployment. curtailment of the Spirit of God to the level of initial deployment again unfolds 1H - God potential for transformation 1H into 2H and 1H into 2H limitless! Sorry but I've no idea what that means. Which god are you talking about and how did you detect it, please? P1. Everything that begins to exist has a cause (or a set of causes, if you prefer). P2. Nature began to exist. C. Nature has a cause (or a set of causes). P1. Quantum physics is irrelevant to the origin of nature beause it is part of nature (physis in Greek); that's why it's called quantum "physics." If it is physics, it cannot have created physics (physis = natura = nature = universe = STEM or spacetime, energy, matter). Theories that the universe is a product of quantum fluctuations have two big problems. First, they are assuming that quantum fluctuations can produce something as big as the universe; we have no empirical evidence whatsoever of this. Why don't they do this now? Second, quantum fluctuations presuppose that there is something to fluctuate. They need space, time, matter-antimatter potential, and laws of quantum physics. It's a far, far cry from nothing. The concept of a "universe from nothing," popularized by scientists like Krauss, is an assault to reason, and it was rightly ridiculed by other scientists like David Albert (https://www.nytimes.com/2012/03/25/books/review/a-universe-from-nothing-by-lawrence-m-krauss.html) and Massimo Pigliucci (http://rationallyspeaking.blogspot.com/2012/04/lawrence-krauss-another-physicist-with.html) and philosophers like Brian Leiter (http://leiterreports.typepad.com/blog/2012/04/lawrencekrauss.html). A third problem is the belief that quantum physics is acausal. This is simply false. Radioactive decay is not acausal; it's constrained by physicial actualities and internal potentialities and is governed by the laws of QM. The fact that we don't yet know what causes it does not mean it's uncaused. To reach that conclusios is an argument from ignorance. P2. Undisputed. Our best cosmological model points to a begininng of the universe, of spacetime itself; therefore, unless we believe in magic, the universe had a cause or a set of causes. C. Therefore the universe had a cause or a set of causes. This follows necessarily from the premises, which are both correct. This cause is either natural or supernatural, where supernatural means beyond natural or meta (beyond) physical (natural). Science alone is unable (and will probably always be unable) to tell us whether the cause is natural or supernatural, but the most reasonable conclusion from the scientific evidence available to us is that this cause is intelligent. How do we know that? The fact that at t=0 the universe had an inflation rate as precise as one part in 10^24, started in an extraordinarily low state of entropy, and was immediately governed by precise mathematical and chemical parameters, all point to intelligence as the best explanation from the evidence. Of the two causal options for the universe (natural or supernatural), the supernatural is the more parsimonious one, since the natural option only pushes the problem back one stage and does not answer the questions about the origin of the laws of physics for "their" universe, the origin of their genetic code, their consciousness, etc. It's basically the problem of panspermia applied to the entire universe; it only pushes the problem back one stage. IOW, he 'created' it from nothing that you thought up another phrase for. You'll need to explain why an unproven entity of infinite complexity popping up from nowhere and made of nothing, creating everything out of nothing is the most reasonable conclusion when common sense should tell you that it is the least reasonable conclusion. Your wishful thinking doesn't change the logic. 1. The complexity of the creative entity (whether it's God or a multiverse or other) is irrelevant. One needs to go where the evidence leads. 3. God does not pop from nowhere and is not made of nothing. Space- and time-related concepts like "popping up," "from," and "nowhere" are meaningless when it comes to God because God is not a being of time, space, or matter. We are time- and space-bound creatures and find it difficult to conceptualize and verbalize the idea of a Being who is pure existence, beyond time, space, and matter, but that's where the evidence from science, logic, and philosophy leads. 5. Theists are not the only ones who have theorized a (philosophically) simple entity behind the universe. Some atheists have proposed Conway's Game of Life as a God-less alternative (also mentioned at the end of the above article God is the Machine). The problem with Conway's Game of Life is that it still requires a Conway, so to speak.In fact, a game (or a computer simulation) requires a developer, a software program, and a computing device. In the case of the spacetime continuum we call universe, this trinity [developer/OS/computing devices] is one immaterial, spaceless, timeless entity. We'', if you can declare any creative entity's complexity to be irrelevant so you can avoid dealing with where it came from, then so can I, but grown-ups don't claim special privileges and exemptions and special lower standards for their argument. Special pleading debased your argument and the need for it debases you god which is reduced to needing lower standards than you demand of science so it can compete. So, now try for a grown-up answer and using the same standards you would expect of science, please explain how a creative entity with enough complexity to micromanage a universe arose from nothing please. In other words explain what you demand science explains in your KCA. Who or what caused your god, please. The complexity of the creative entity is irrelevant, and for several reasons. First, if the creative entity turns out to be multiverse, this universe-generating machine would be far more complex than our universe. Yet, scientists do not discard the multiverse hypothesis based on its purported complexity. Why do we do that with God? Second, I don't need to *deal* with where this (supposedly) complex entity comes from. If that's where the evidence leads, that's where the evidence leads. I cannot discard a plausible explanation only because I cannot fully explain its origin. Third, again, God does not "come from anywhere." Words like "come," "from," and "anywhere" are time- and space-bound. We know from relativity that time and space are not absolute; they are dimensions of our universe. If relativity is correct (so far it has been), there is no time and space without our universe, which means that the creative entity of our universe is time-less, space-lesss, matter-less; it's eternal and immaterial. Evidently you've chose to remain ignorant of uncaused quantum events, which are well documented. As I point out in the debate, the BB was of course an event at the QM level and thus does not require a cause. This is fully explained in the debate which you probably haven't read. 1. Quantum indeterminacy is specific to the Copenhagen interpretation of QM, which is only one of many interpretation of the theory. 2. Even if QM indeterminacy were to be confirmed, concludig in such a facile way that it can build a uinverse is an unwarranted extrapolation. 3. If QM indeterminacy can build universe, why don't we observe that today? We have had QM indeterminacy for the past 14 billion years. Why only one universe? Where are all the others? 4. QM or Quantum Physics is, well, physics, which is Greek for nature. QM cannot create nature because it depends on nature and is part of nature. It's just how nature works at its smallest scale. 5. If QM and its laws ontologically precede nature in order to create nature, and since nature is spacetime and matter, then, paraphrasing physicist Gerald Schroeder, we have non-physical laws of QM outside of space and time, creating a universe. This description might sound somewhat familiar. Very much like the biblical concept of God: not physical, outside of time, able to create a universe. 6. Where do the laws of QM come from exactly? Ah! You didn't read the debate above that you are purporting to comment on did you, otherwise you wouldn't be trying refuted arguments. The argument you are avoiding is the fact that quantum events can be and frequently are uncaused, therefore, since the BB was a quantum event the assumption in the KCA that there must have been a cause is invalid. On your invented problem of where the laws came from, you are trying the sleight of hand of pretending scientific laws ate proscriptive or prescriptive; they re neither, they are descriptive. They describe how matter interacts; they do not compel it to interact. In a singularity of course there is nothing else for the singularity to interact with therefore there are no descriptive laws. Have you anything other than assertions which are contradicted by evidence and fallacies which are nothing more than a play on words designed to mislead? You didn't answer any of my six points. Quantum events may be uncaused (if the Copenhagen interpretation of QM is correct), or we might not yet know what causes them, but extrapolating that, since quantum events may be uncaused, therefore they created the universe is unwarranted. It's also special pleading; we have quantum events today. Why doesn't stuff pop into existence uncaused? Please also read my other objections above. As for the laws of nature, yes, our formulation of them is descriptive, but descriptive of what? Something *makes* matter interact. As cosmologist Joel Primack once asked physicist Neil Turok, "What is it that *makes* the electrons continue to follow the laws?" Whatever it is that *makes* matter interact, that *makes* atoms follow the laws, that *governs* that relationship of matter and energy started at the moment of the Big Bang. It had no time to evolve (and how would properties of matter and energy evolve exactly anyway?). Where do these properties described by our laws of nature come from exactly? The point I dealt with, as I did in the debate above, as you would have seen had you read it, was the fact that at the quantum level events do not necessarily have a cause, hence to base your argument on the claim that ALL events must have a cause, as the KCA does, is fallacious. It has nothing to do with the Copenhagen Interpretation, by the way, which says that quantum duality resolves when observed and thus reality may be due to our perception of it. You might do better if you read the debate above and stopped hopefully stabbing in the dark, gambling on readers not understanding things like Copenhagen Interpretation and uncause quantum events. >yes, our formulation of them is descriptive< So you knew your question deliberately confused descriptive scientific laws and man-made prescriptive and proscriptive laws then. You knew very well that the answer to 'Who made the laws of MQ?' was scientists, who write down their observations and call them laws. So why did you ask it? Who were you trying to fool? @Rosa Rubicondior (Bill Hounslow): Have you seen this article written by Paul Anlee: https://www.paulanlee.com/2018/01/09/who-is-this-god-we-dont-believe-in/ ? Our laws of nature are descriptive. But what are they describing? Something or someone * prescriptively makes* all the atoms in the universe do what they do. This prescriptive action is being described by our laws of nature. They describe what scientists observe to happen. I don't understand the problem here. Sorry if you want a different definition so you have a place for your god, but that's not the way it works. The (potentially) stochastic nature of individual quantum events by no means disproves the universally accepted recognition that all that begins to exist has a cause or a set of causes. To believe otherwise is to believe in magic. The presence of uncaused events at the quantum level abolished the KCA argument that all events need a cause. Sorry, but your fox has been shot. I can understand your bereavement but the KCA is as dead as the dodo. Denial won't bring it back to life. Another Easy One For Muslims... Or Not! Did Cultural Conflict Exterminate Neanderthals? Now A Human Ring Species In West Africa?